Labrish, Kingston, Jamajka : Rezerwuj teraz! You can stay 22 us in dormitory, dormitory are mans room (6 beds) , ladies room ( 4 beds) and ladies room has own bath room. 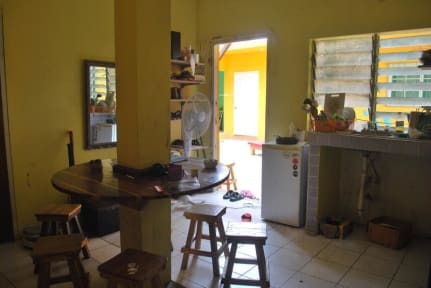 private room with own bathroom , toilets and kitchen from 33us -single ,44 us- double,60US-triple room with jamaican authentic breakfast. You can enjoy Japanese hospitality in Jamaica Kingston. Location 1 minis to halfway 3 min from the bus station and supermarket and 40 minis from Norman Manley airport. 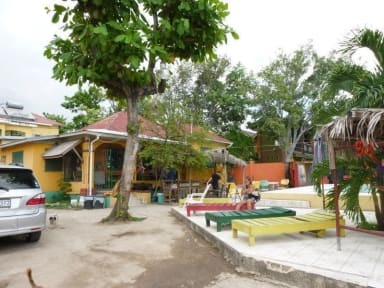 We also have swimming pool inside the yard.welcome all reggae lover from all over the world .owner of guest house well know Jamaica reggae music. Check in time starts at 14:00 to 22:00 .